Eco-friendly and efficient, the Alke electric vehicles make it possible to collect waste quickly and silently. Specifically, the Alke XT320E is configured as a valuable ally for waste collectors. 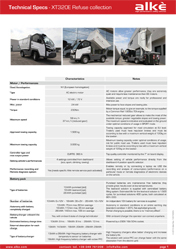 Compact (4.1 metres long), but not less spacious, the Alke XT320E is specially designed to operate in the waste collection sector, specifically in urban settings. It is an electric vehicle that does not produce atmospheric or noise pollution, since it is completely silent. It is equipped with a spacious body for transporting waste, naturally including recycled items, and a powerful, easy to use bin lifting system capable of lifting containers of 120, 240 and 360 litres. Many cities in Europe have already decided to use Alke waste transport vehicles, proving their efficiency in this setting. These vehicles can also circulate in limited traffic areas. The consumption of the Alke XT320E, like that of all the electric vehicles produced by the company, is truly little: it only costs 3 euros to fully recharge the batteries. 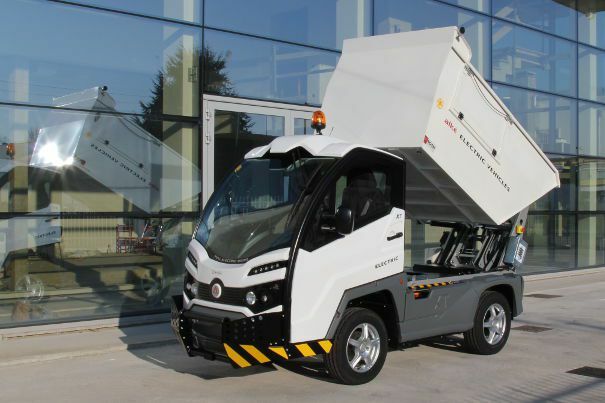 This electric waste transport vehicle comes with a body made of anti-corrosive aluminium with a volume of about 3 cubic metres (capacity 980 kg, 50 less by choosing the 4WD version), and is equipped with a 90° electro-hydraulic dumping device. The unloading height is 150 cm. The waste collection body also comes with a hatch with a quick-release system, useful for collecting waste and cleaning the compartment, as well as a rain cover. The controls of this waste collection body are located beside the unloading area for maximum visibility of operations. The bin lifting system also works by means of an electro-hydraulic system and it is equipped with a mechanism that keeps the bin in a vertical position, emptying it automatically only when it reaches the loading ramp. 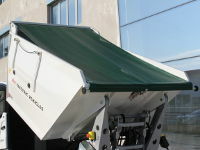 The bin lifting system is optional, in that it is considered a supplement to the waste collection body. 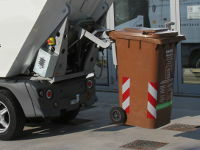 Both the body and the bin lifting system, are powered directly by the batteries used for driving. How to find the Alke' vehicles? Visit our dealer locator page. What is the regenerative braking system?